The BlackBerry Krypton or BlackBerry Motion is the next mobile that should appear by the well-known manufacturer. Now we have the possibility to see one of the first photos of the terminal. Until now, the BlackBerry devices launched under the leadership of TCL were of a hybrid nature. The mobiles brought touch screens, also physical keyboards. 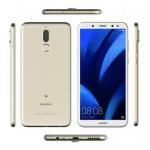 An emblematic element for the company and highly appreciated among fans of these types of smartphones. Recently the first images of the new Blackberry smartphone Krypton have been leaked. From which we already know some of its characteristics and possible price. 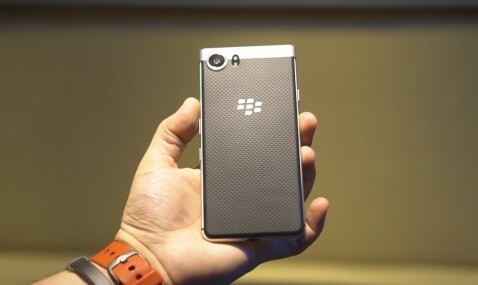 Nor will we have to wait long to see it, as the BlackBerry Krypton will be official next October. The next Blackberry terminals that will be released in October of this year have been leaked. So far, it has the key name of Blackberry Motion. Since this smartphone has already received Bluetooth and Wi-Fi certifications. Its launch is almost imminent. BlackBerry Krypton shows two possible designs of the new BlackBerry smartphone. That at first glance seems quite conservative, possibly due to its focus on the executive market. Blackberry terminal considered indispensable if you were dedicated to the world of business and business management. According to rumors, the Blackberry Krypton will have a 626 or 625 Snapdragon processor, 4 or 3 GB of RAM, 64 or 32 GB in internal storage. It would be waterproof (not known whether to splash or will have the IP68 protocol) and a decent 4,000 mAh battery. 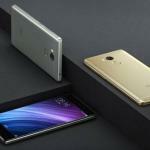 It is also expected that no layer will be added to its firmware and that it will keep pure Android. The version of the operating system would be Android 7.0 Nougat that would come accompanied by the BlackBerry DTEK security suite. As always, BlackBerry would keep its software clean, with no annoying add-ons that hinder the user experience. 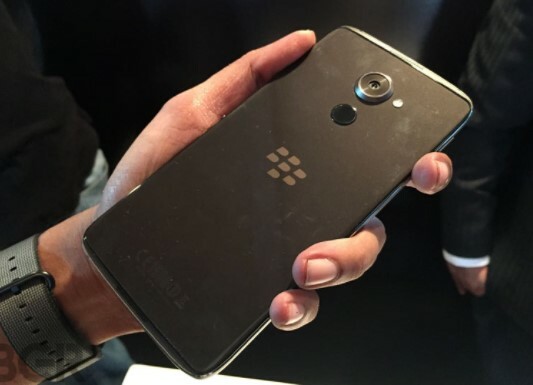 We will able to see the first filtered image of the BlackBerry Krypton. Where we appreciate some continues lines of the classic design of the firm. We have on the table some of the characteristics with which it is rumored that could arrive this new smartphone. As for software, the BlackBerry Krypton will be a device created around strong security measures for users. Who will have at their disposal certain applications that can be used to save private files or even passwords? 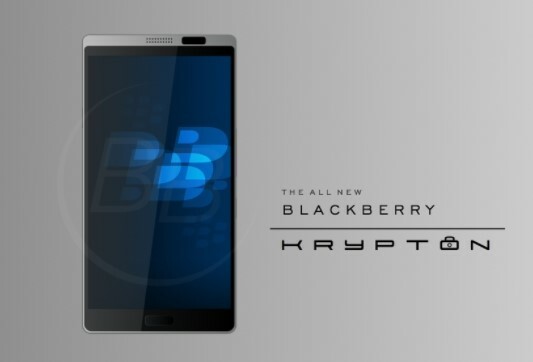 Krypton will be the name chosen by BlackBerry for its new device. In addition to noting that it has always had a differential design, despite not conforming to the standards of 2017, as expressed by the firm. As we see in this first image of the BlackBerry Krypton, the design bears the signature of the signature. It is inevitable that it reminds us of other BB terminals that have passed through our hands. The price could be around $ 700, a high figure for a terminal with mid-range features. For many this was the beginning of failure. 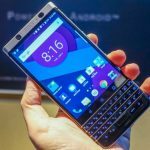 The lack of acceptance of the Blackberry KEYone is they making the same mistake. 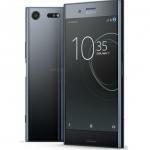 Most likely, the smartphone will count on something worthwhile without focusing so much on the features of the hardware. Quite surprised we have left the first rumors concerning the price of this device. It could appear in the market for about 700 dollars something very exorbitant if they finish fulfilling the aforementioned characteristics. In addition, Blackberry could be working in another terminal called Juno that could see the photo that you have next. It seems that everything is ready for the phone to reach the stores soon. 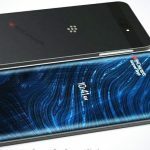 There are rumors that this will be the device promised by BlackBerry, offering a fully touch front with the presence of a casing tougher than previously seen and an incredible battery.